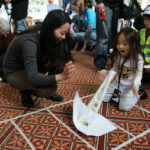 Family Day is an annual Engineers Week tradition. 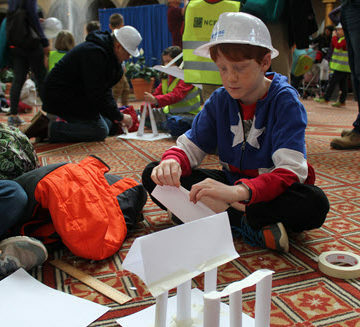 Engineers Week 2018 is well underway, with a theme this year of Engineers: Inspiring Wonder. It’s always an exciting week for ASCE members. ASCE celebrated its 2018 New Faces of Civil Engineering – Professionals. Members of the National Capital Section volunteered at the annual Family Day event in Washington, DC. 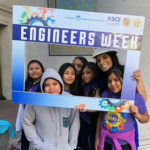 ASCE President Kristina Swallow participated in a Girl Day Twitter Chat. 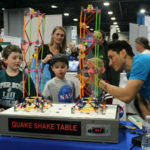 And of course ASCE members around the world have been inspiring students with a variety of outreach events. Today, several student members kicked off E-Week at the Buffalo Museum of Science. Members assisted children with the construction of spaghetti towers, teaching them how to find the compromise between the strongest and tallest tower! Just a reminder for all student members to participate in E-Week events throughout the week, and check your email for Battle Bot Maze construction times! Happy E-Week! ASCE will be giving out FREE donuts at the Building 17 Atrium until 10am for those wearing this year’s ASCE membership shirt. Get them while supplies last!